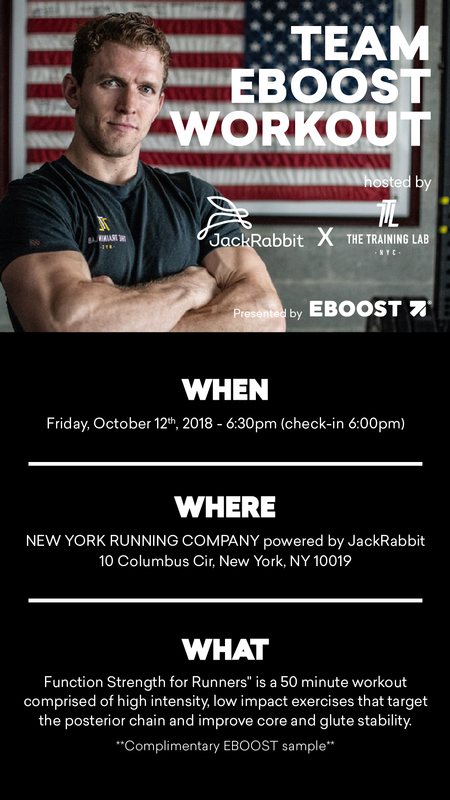 Team EBOOST has put together a free event for all to join. This event focuses on strength training for runners. “Function Strength for Runners” is a 50-minute workout comprised of high intensity, low impact exercises that target the posterior chain and improve core and glute stability. This FREE workout class will meet at New York Running Company and will be led into Central Park for the workout. The special class brought to you by The Training Lab. From their website, Training Lab trains hard and train smart. They focus on mechanics, consistency, and intensity. Fitness in our perspective is the ability to perform a task. Whether that’s to run a half marathon, complete a triathlon, simply lose weight or just be a better version of yourself. At the lab their, program we will give you a foundation that enables you to reach all your goals. Snag for your free ticket here. Complimentary EBOOST samples served to support endurance and keep you focused & hydrated, naturally.